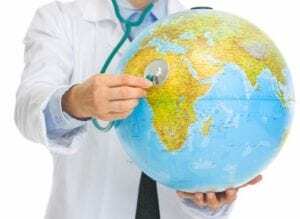 Be sure you know and understand your Out-of-Country Emergency Travel Health Coverage.What is my out-of-country medical emergency coverage? How long am I covered for while travelling? You are eligible for out-of-country medical emergency coverage for trips up to 90 days. As the Provincial healthcare plan includes travel length limitations, you may want to consider requesting a coverage extension for your provincial healthcare coverage if you are planning on travelling for an extended period of time. What am I covered for while travelling? Out-of-country medical emergency coverage includes coverage for medical emergencies, which are defined as “a sudden, unexpected injury or acute episode of disease” which cannot be reasonably anticipated based on your health in the few weeks leading up to your departure. In some cases, Great-West Life may request medical records for up to three months prior to your departure as evidence that the medical emergency was not anticipated. 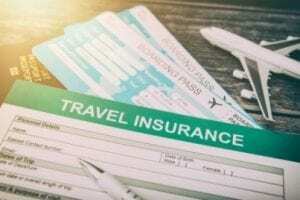 Coverage does not include trip cancellation, trip interruption or loss or damage of baggage and you will not be covered if you are travelling against medical advice. If you would like to purchase additional travel coverage, contact our benefits consultant, HUB International for assistance with Travel Insurance. HUB can be reached toll free at 1-866-756-3281 or by emailing emerge@hubinternational.com. Leave details of your insurance coverage along with copies of other important documents with a contact person at home. Talk to your doctor to address any concerns about travelling with a medical condition. Check the Travel Advise and Advisories page on the Government of Canada’s website for destination specific travel information (https://travel.gc.ca/travelling/advisories). The Government of Canada suggests you check the Travel Advice and Advisories page while you are planning your trip and again shortly before you leave. Be sure to bring sufficient quantities with you, keep it in the original container, pack it with you in your carry-on luggage and you may want to carry a copy of your prescription(s) with you. Some countries may require confirmation of medical insurance from travelers. Check the Government of Canada’s Travel Advise and Advisories website for destination entry requirements. If you require proof of insurance and your provincial health insurance card is not sufficient, you can contact Great-West Life at 1-800-957-9777 to request a letter. What to do during a medical emergency? For tips before travelling and a list of all emergency assistance phone numbers (including a Universal countries listing), visit the Great-West Life website here. Please note, GMA coverage for travel within Canada is limited to emergencies arising more than 500 kilometers from home. For more information or to print your ID card, log in to the Great-West Life Member Portal with your Great-West Life user name and password. The above summary is for general use and informational purposes only. In the event of a discrepancy between this benefit and the master contract, the terms of the group contract will apply. The LifeWorks website offers a wealth of information and resources to help you make the most of all aspects of your life. For the month of December, LifeWorks is featuring a suite of resources called Thriving in an Inclusive Workplace. Studies show that diversity and inclusion improve business performance. Thriving in an Inclusive Workplace features resources to help build a culture of inclusion. Red River College > Human Resources > News > Benefits > Are you planning a winter vacation?